Since the launch of the Apple iPad in April, an avalanche of protective covers, cases, and folios for the iPad has hit the market. Sorting through them all has kept us quite busy. 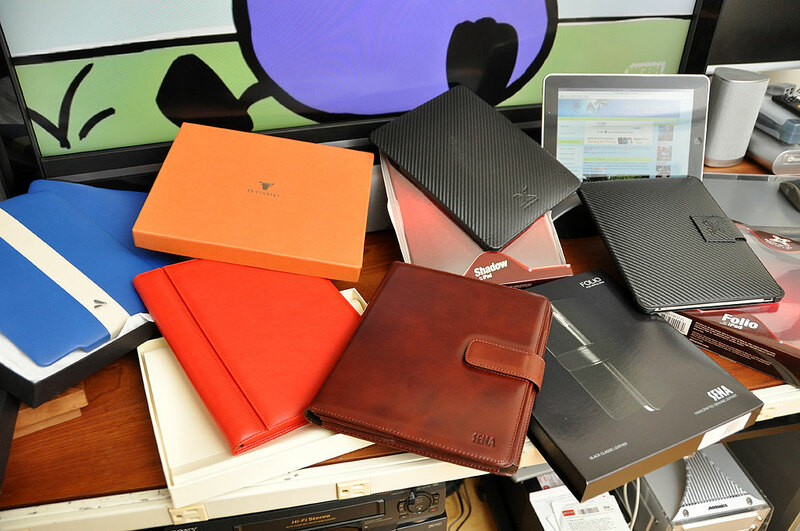 We wanted to find great-looking cases which were functional and well-made. We also kept and eye out for ones with an innovative design or unique features. We picked the Vaja and Piel Frama covers because of their reputation for high-quality leather iPod cases. We were not disappointed. 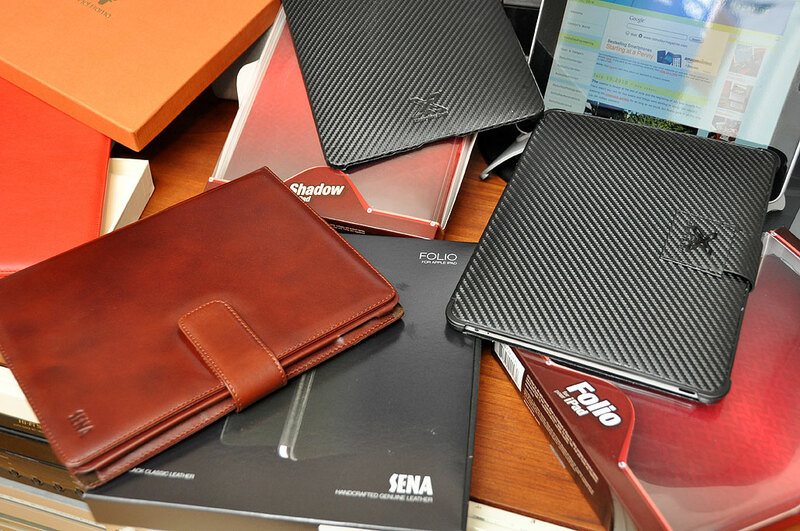 We chose the Sena folio because of the interesting design of their integrated stand. XGear is on our list because they use carbon fiber for their covers. OtterBox made the cut because their cases typically offer the best physical protection possible. The unknown in the group is modulR. As a brand new company, modulR has no track record. We included them because the design of their case/system was just too cool to ignore. We took a FirstLook at the Vaja and Piel Frama iPad cases in May and June. The Sena and XGear covers arrived this week. OtterBox and modulR have told us that their covers will arrive by the end of the month. Instead of the usual FirstLook reviews, we thought it would be instructive to do a side-by-side comparison of the entire lot. Look for it in August. NOTE: We only use InvisibleShields to scratch-proof our gear. Why bother messing around with anything else?